Army SGT Gregory Owens, Jr.
SGT Gregory Owens died on July 20, 2009 from injuries sustained when an improvised explosive device (IED) detonated near his vehicle followed by an attack from enemy forces using small arms and rocket-propelled grenades in Maydan Shahr, Afghanistan. Also killed in the attack were Spc. Anthony M. Lightfoot, Spc. Andrew J. Roughton and Pfc. Dennis J. Pratt. He is survived by his parents, Gregory Sr. and Ladonna; two brothers, Lamar and Jonathan; and sister Shelena. Gregory was born in Germany during his father’s military service and had followed in those footsteps by joining the Army in 2007. He had graduated with honors in 2002 from Hillcrest High School in Dallas, where he kept a full schedule, was a drum major and an Eagle Scout with Troop 709, but still managed to find time to roughhouse and play sports with his younger brothers. “He did everything to keep my mom busy 24/7: band, Boy Scouts, church,” said his sister, Shelena. 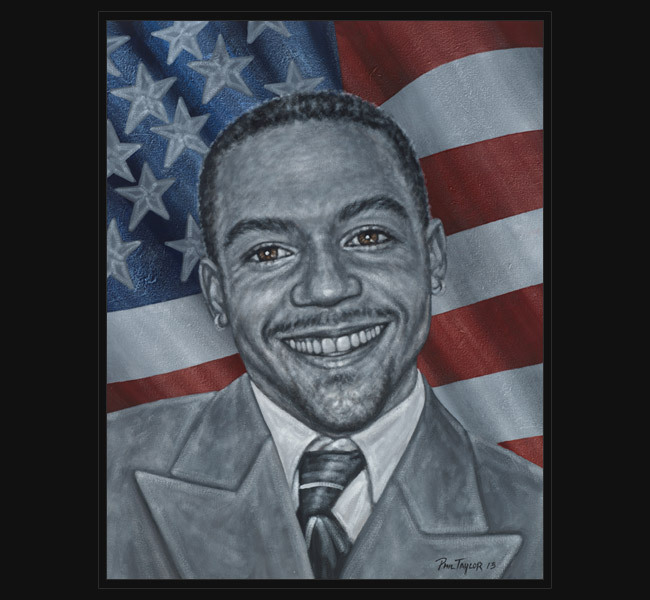 Gregory was posthumously awarded the Bronze Star with Valor and the Purple Heart. 5 years, 7 months ago Comments Off on Army SGT Gregory Owens, Jr.